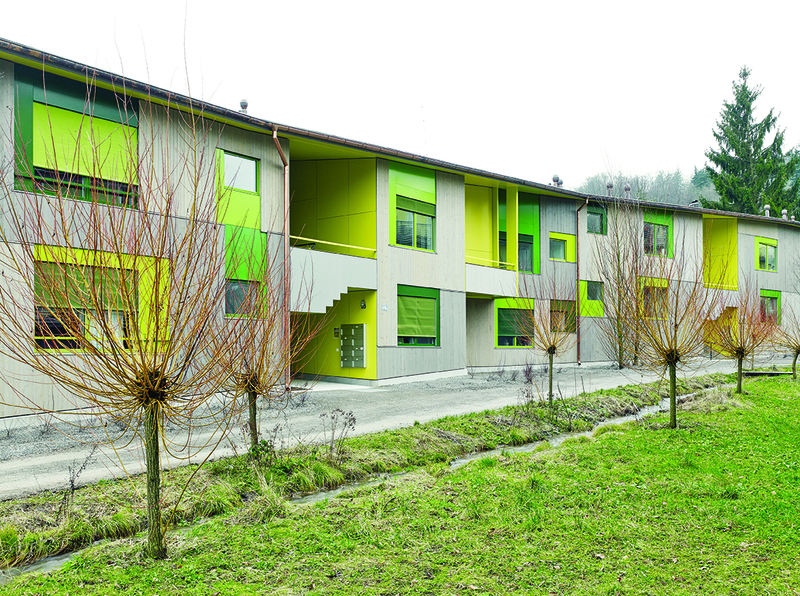 Cities Connection Project | COOPERATIVE HOUSING AVELLANA. ZURICH-SCHWAMENDINGEN. 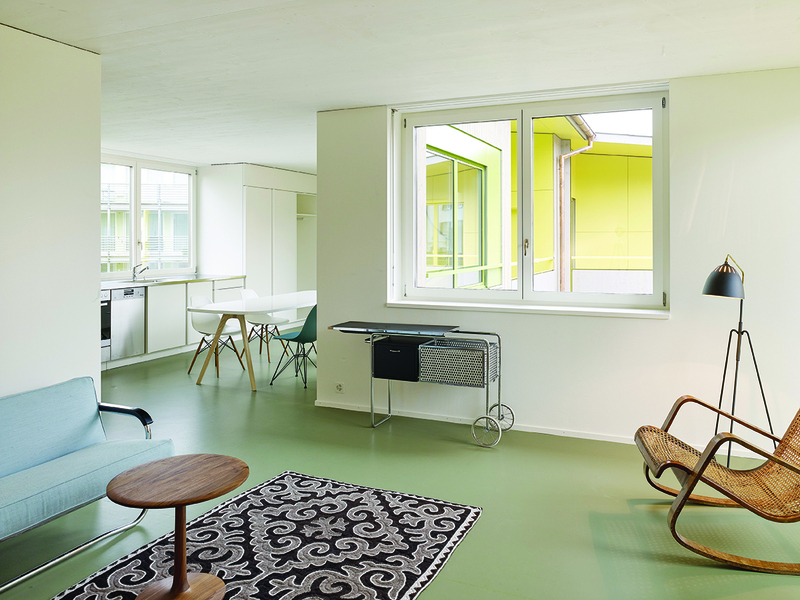 The housing project Avellana is located at the northern foot of the Zürichberg hill, at the heart of Zurich-Schwamendingen. Here there are still remnants of the old, original agrarian village structures. The project’s site is enclosed by some of these former farmhouses. It lies towards the back of them, almost in a second row, as a garden plot hidden behind the row of buildings facing the street. The project interprets this specific urban situation in both its volumetric development and architectural expression. The low building — being merely two-storey and flat-roofed — is typologically subordinated to the representative buildings along the street — its appearance is one of a courtyard building, or even a garden building. The length of the volume is broken in several places, where the figure responds differently to the side where a stream runs, and to the side of the courtyard garden. Towards the stream, the volume is subdivided by fine kinks, such as the entrances to the open circulation. To the garden, the facade modulation is more pronounced: the volume is no longer felt in its entirety, rather the impression of individual buildings arises. With this, the building perceives anew the side of the path and stream, and on the garden side reacts to the disperse courtyard structures, with their gardens and small outhouses. 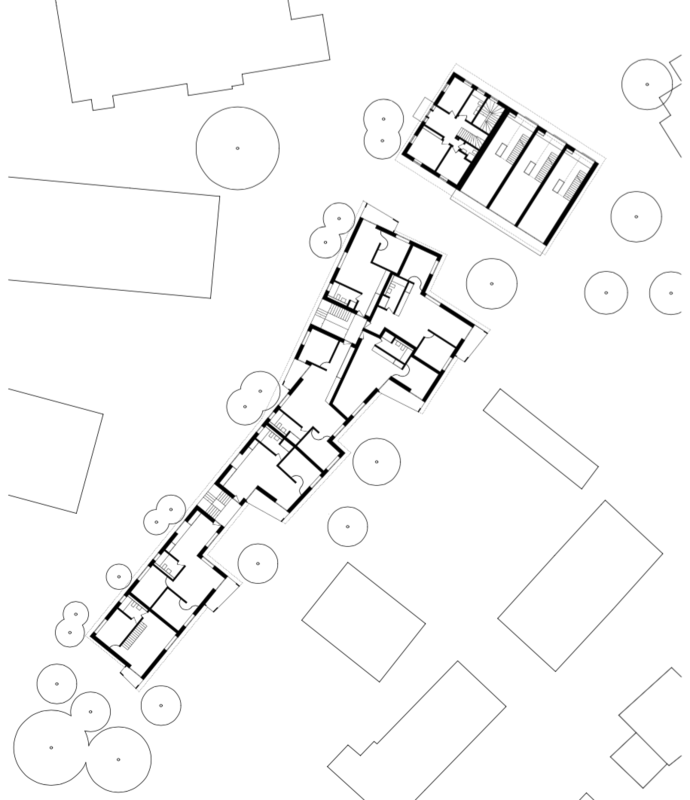 Also in relation to architectural expression, the new building defers to the existing building — together then form an ensemble of a main, representative building, orientated towards the street and an adjacent building, towards the courtyard. In its content and atmosphere, the project references those kinds of sheds or farm buildings, without disguising its actual use. For this, the ‘soft’ timber envelope appears to be critical, as well as the shallow pitch of the roof, whose partly tilted gables and eaves recall associations of spontaneously grown and multiply transformed structures.